Franziskaner | Dranken Geers - Dé Streekbierenspecialist! The Spaten-Franziskaner Brau found its existence in the merger of the Spaten-brauerei and the Franziskaner Brauerei. History of the former breweries goes back to 1397, whereas the latter already brewed in 1363. 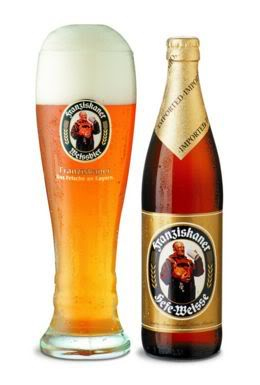 The name "Franziskaner" is derived from the Franziscanian abbey right across the street from the brewery. After WW1, both breweries decied to merge into one brewery. As from today, it is one of the biggest breweries in Germany. Did you know... That Dranken Geers is the only place in Belgium where you can buy Franziskaner to enjoy at home? Cheers!